Clients often tell me that one of the most difficult parts of aging is the slow loss of independence. As we age, we often face multiple setbacks — perhaps we can no longer make it to the toilet or need assistance getting in and out of bed. We may no longer be able to live in our own homes. One of the most symbolic losses of independence; however, is having the keys to our car taken away. Older adults are often resistant to giving up their driver’s licenses and it’s easy to imagine why this is a difficult change. It may be clear to family, friends, their care manager, and everyone else on the road but they do not want to give up their right to drive themselves to the grocery store or doctor’s appointments. That creates the dilemma of what are we to do if we can’t talk our loved one into staying off the road and we know they pose a significant risk to themselves or others? Every state’s laws are slightly different. South Carolina has a straightforward way of dealing with this situation by offering a service to review a driver’s ability to drive safely. To have someone’s license status reviewed by the DMV’s medical advisory board, their Primary Care Physician must mail or fax a letter on their own letterhead, to the DMV’s Driver Improvement Department (P.O. Box 1498, Blythewood, SC 29016-0016) indicating there is a driving impairment. The medical advisory board will then determine if the status of the license should be under review. If so, a medical form will be sent to the primary care physician to be completed and reviewed. This form will determine whether a new driver’s test is required. A police officer may also trigger this process, but there is no formal way for a family member or concerned citizen to make a report to Driver Improvement. In some situations, it may be difficult to get a physician to write a letter to the DMV. Perhaps your loved one has not been compliant with all of their appointments, or the physician has not observed any reckless driving. In this case, at least in South Carolina, our hands are tied. The best approach to dealing with this issue is early intervention. Talk to your loved one, before there is a problem, and work to get their physician involved. 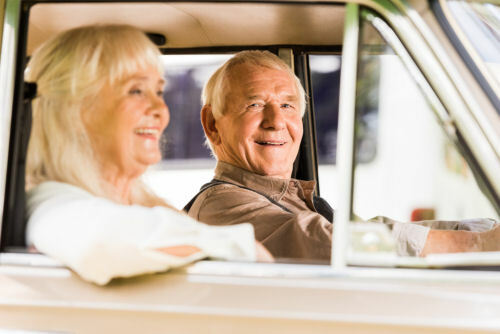 Oftentimes, older adults will listen to the word of a doctor over a family member and the process of involving the DMV can be avoided altogether.